Call 716-634-9303 to Schedule an Obstetrics / Gynecology Appointment in Williamsville or Snyder! Looking for a gentle yet professional obstetrics / gynecology office in the Williamsville, NY or Eggertsville, NY areas? All Care for Women provides the Western New York area with expert services. Whether you live in East Amherst, NY or Snyder, NY, please call 716-634-9303 today to make an appointment. Our all-female practice will treat you with sensitivity and kindness; you won't dread your visits to us! Our expert staff is always on hand to answer any questions you might have and provide professional, compassionate care. Board certified Judith A. Nabi-Ortman, M.D., cares for women in all ways. She always welcomes new patients. In addition, Sharon Kolipinski is a certified nurse midwife, Karen Glor is a certified nurse practitioner, and Rose Palazzo is a certified RPA-C.
We offer professional obstetric services to Williamsville, NY and Clarence, NY. From counseling services and infertility treatments to Essure sterilization, osteoporosis prevention, and our “Take Shape For Life” weight management program, we are here to ensure your continued and prolonged good health. Whether you prefer traditional medical care or a holistic approach, our trained professionals are ready to listen and help you with your needs. From Clarence, NY to Eggertsville, NY, women know that they can trust All Care for Women with their obstetrics / gynecology examinations. We stay up to date with the latest medical procedures and knowledge in order to provide you with the best care in the WNY area. Whether you need a routine exam or something more, give us a call today to schedule an appointment. Comprehensive Obstetrics / Gynecology services for women throughout WNY! It's important to find a physician you can trust. 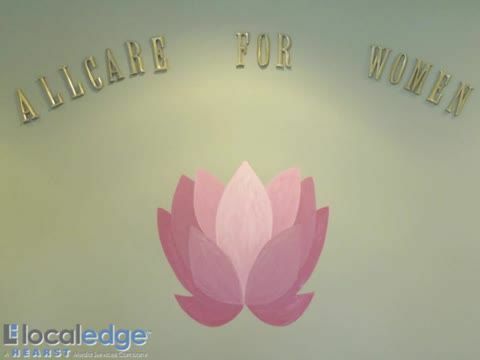 Here at All Care for Women, we are committed to providing a warm, welcoming environment to all our patients. We want you to feel at ease when you visit our office. 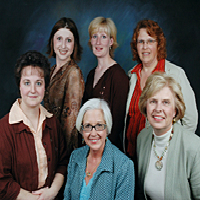 Women from all over Western New York visit us for our friendly atmosphere and our expert service. Whether you're from Amherst, NY, Snyder, NY, or Eggertville, NY, you're sure to find the services you need here. At All Care For Women, we address a broad range of women’s health issues with comprehensive Obstetrics / Gynecology services for adolescents and adults of all ages. Whether you’re a teenager going through puberty or an adult going through menopause in the Clarence, NY area, we can accurately diagnose and address your condition. Our Obstetrics / Gynecology care facility poses a warm welcoming atmosphere where patients can feel relaxed and comfortable while receiving quality health care. We are conveniently located to serve the entire Western New York area. From our Transit Road location in East Amherst, we serve women from throughout the greater Buffalo area, including Snyder, Eggertsville, Clarence, Tonawanda, West Seneca, and Williamsville. Choose WNY's favorite OBGYN. Call All Care For Women to learn more about the services we offer! At All Care for Women, we provide women with a full selection of obstetrics/gynecology services to ensure your continued health. We also feature Perimenopause and Human Papillomavirus services. Perimenopause is a transitional period in a woman’s life in which the woman’s body undergoes a number of symptoms and changes. Many woman experience irritability and painful, heavy, and prolonged menses cycles during this sometimes difficult time. Dr. Ortman-Nabi and her highly-skilled staff offer a number of obstetrics / gynecology treatments that will help you cope with these changes to make this transition much smoother. If you are a sexually active teen or young woman under the age of 30, there is a nearly 70% chance that the Human Papillomavirus (HPV) is present in you. You should be tested annually to check for sexually transmitted diseases and sexually transmitted viral diseases, like HPV and the herpes virus. We can provide treatments for HPV to keep the virus from causing the cellular changes in your cervix that can lead to cervical cancer or genital warts. If you are in need of first-rate obstetrics/genecology treatment in the greater Buffalo, NY area, please give us a call to schedule an appointment. We serve patients from Amherst, NY, East Amherst, NY, Snyder, NY, Eggertsville, NY, Williamsville, NY, Clarence, NY, and more. We look forward to helping you on the road to good health.